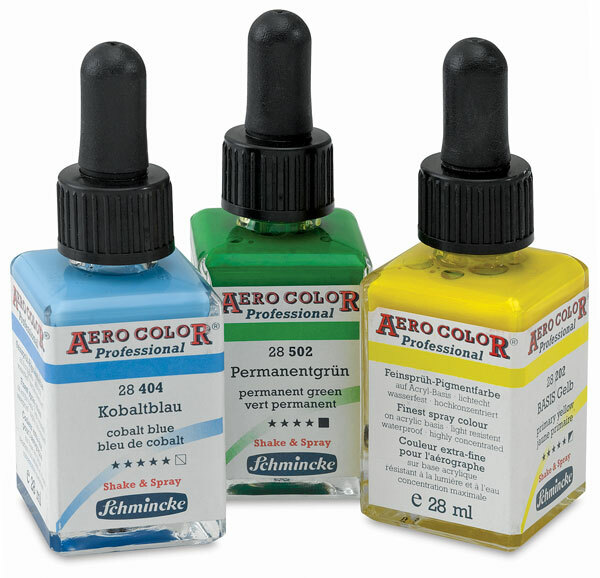 Schmincke Aero Color Professional Airbrush Colors are specially formulated for the airbrush but are also suitable for retouching pens, dip-pens, and brushes. Ready to use, water-resistant, and nearly odorless, they are available in 36 brilliant colors and 12 special effects colors. 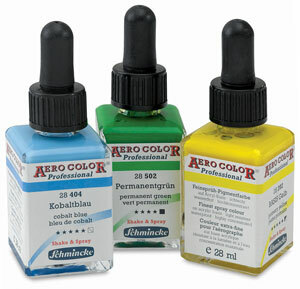 ® Schmincke is a registered trademark.® Aero Color is a registered trademark.